Faro is the gateway to the Algarve. With year-round sunshine, miles of beautiful sandy beaches and flower-decked and pretty whitewashed villages, it’s easy to see why the Algarve is so popular. And, with year-round flights to Faro from several airlines – it’s an easy to reach, fabulous holiday destination. Plus, the government of Portugal have made special arrangements for British passport holders to be fast tracked through the airport post-Brexit (see our post on this topic). Transfers from Faro airport to many of the Algarve’s major towns and resorts are quick and easy to arrange. There are several car rental companies at the airport including Avis and Hertz. The old town is gorgeous and a key tourist attraction. Its cobbled streets are lined with ancient buildings, authentic restaurants, bars and shops. 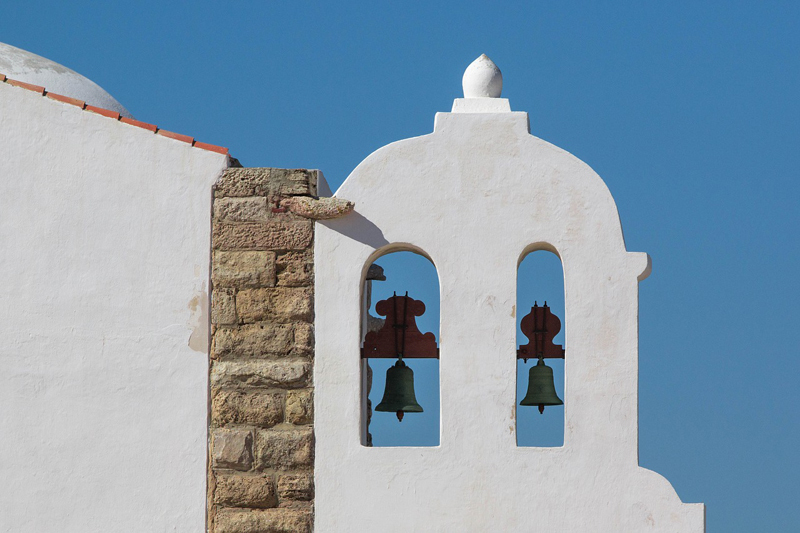 With museums and great beaches – there’s plenty to do in Faro. Wander through the Arco da Vila, a striking gateway to the old town and spot remnants of the 1000 year old city walls. The archway known as Cidade Vehla leads to a quiet enclave of the old town with pretty white washed houses, dripping with pots of flowers contrasting with terracotta tiled roofs. With its pretty squares and some lovely restaurants, it’s a great place to stroll. If you fancy something a bit different, take a boat trip from the harbour and explore the coast. Faro is also the gateway to the Ria Formosa Natural park, a series of salt water lagoons and a haven for wildlife. With some tours you can stop off on an island and be picked up later in the day. The stunning resort of Quinta do Lago is around 20 minutes’ drive from Faro. With its luxury villas, brilliant golf courses, activities galore, beaches, restaurants and the brand new Campus multi sports complex, it’s a fabulous holiday destination. EasyJet fly from Belfast, Bristol, Glasgow, Liverpool, London Gatwick, London Luton, Southend, Manchester and Newcastle. RyanAir fly from London Stansted, Bristol, London Luton, Southend, Manchester. British Airways fly daily with departures from London Heathrow, London Gatwick, London City and London Stansted. Aerlingus fly Dublin to Faro. Flybe fly from Cardiff, Southampton, Exeter and Doncaster Sheffield. Jet2 fly from Belfast, Birmingham, East Midlands, Edinburg, Glasgow, Leeds, London Stansted and Manchester. Thomas Cook fly from Manchester and Birmingham. 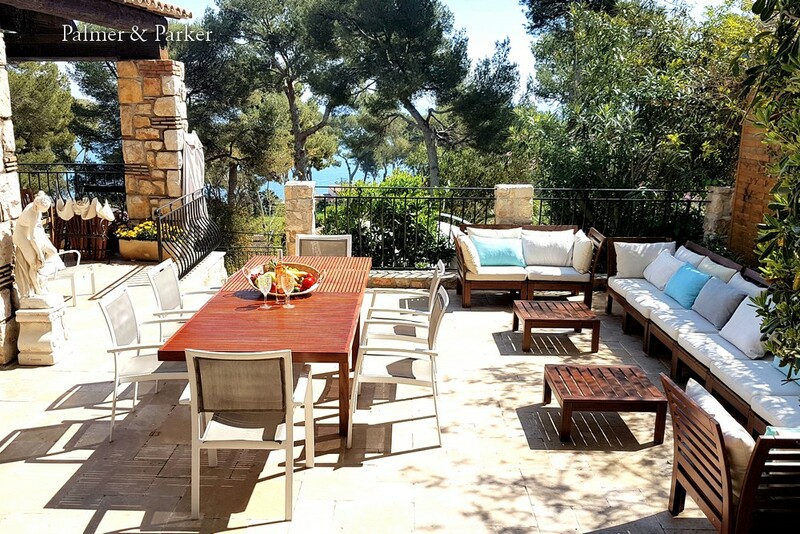 We have lots of exquisite villas in some of the most gorgeous holiday destinations, from the Algarve, southern France and the Loire Valley, Spain and Ibiza. All of our villas have pools, maid service and are luxuriously decorated. They’re hand-picked and located in the most idyllic settings. 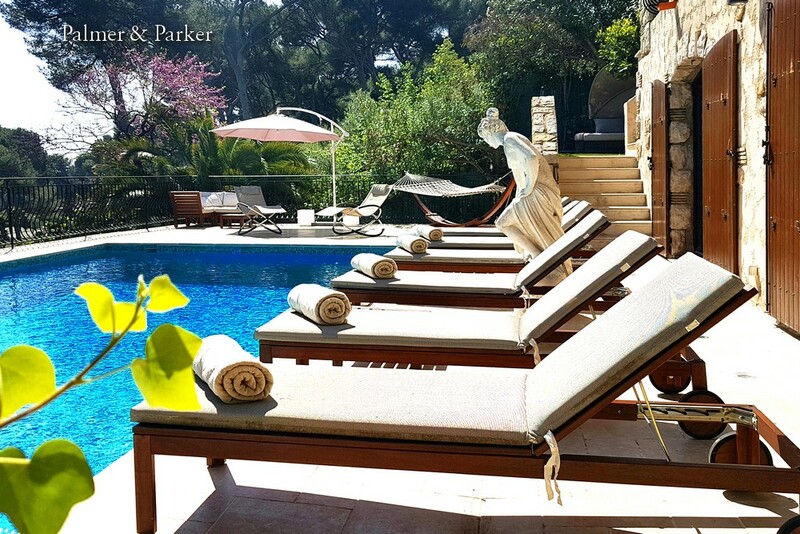 When you take a holiday at a Palmer & Parker villa, you know you’re getting the best there is. For many people, spring is the best time to visit this lovely part of Portugal. The almond trees are in blossom, the delicate scented flowers creating a burst of colour and scent. Joined by the velvety fragrance of orange blossom, it definitely invokes a feeling of happiness that the winter is well and truly over. Deep blue skies, lush vineyards, the golden sands of the beaches and whitewashed buildings of villages reflect the warm sun. Not too hot to cycle or hike, it’s the ideal time to take up a sport and there’s lots of choice in the Algarve including the new The Campus state of the art multi sports complex at Quinta do Lago. With temperatures around 20-25˚C, it’s also wonderful weather for dining al fresco. It’s a relatively sleepy time of the year before the tourist crowds arrive but there’s still lots going on and at Easter there’s loads to do, from flower festivals to boat trips and of course shops filled with delicious chocolate and sugared almonds. By April, the south of France has warmed up considerably. Vineyards are flourishing, the beaches are enticing, the countryside is filled with the scent of blossom from cherry, almond, lemon and orange trees. Shops and patisseries are filled with drool-worthy sweet things like edible works of art. Chocolate bells are popular – in France chocolate is bought not by the Easter Bunny – but by flying bells! Church Bells are not rung in France between Good Friday and Easter Sunday as a mark of respect for the death of Jesus. Children are told, the bells have gone to Rome and return bearing chocolate. 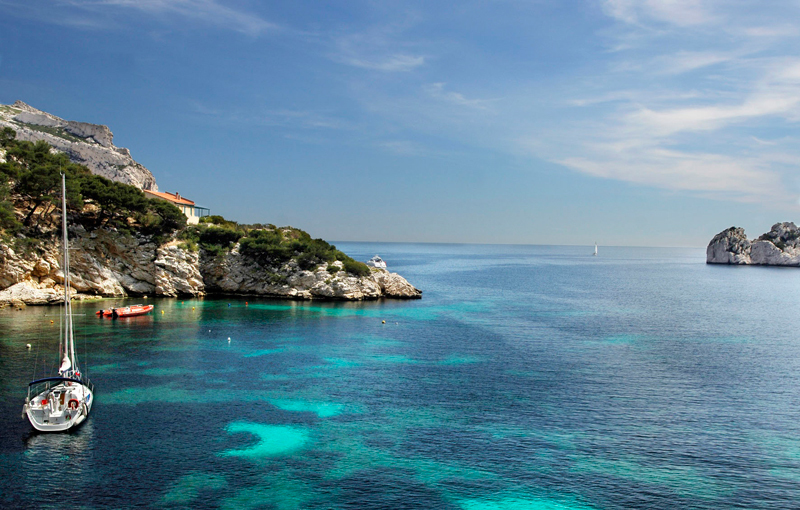 Visit the south of France before the crowds to discover the authentic charm of Provence and the French Riviera. The markets are bustling, restaurants and cafés that closed for the winter now tempt you to while away an hour or two simply enjoying the atmosphere whist you watch the world go by and soak up some rays. The average temperature is usually between 16-20˚C in April and gets progressively warmer through the month. 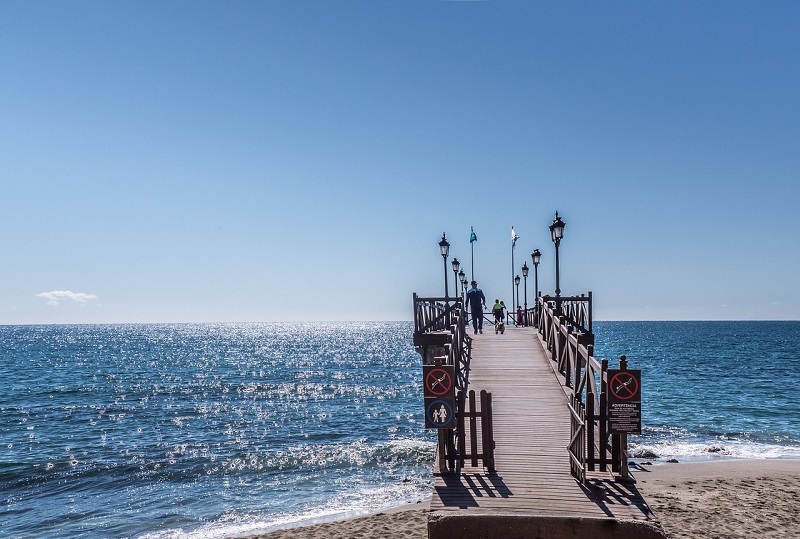 In Spain, Marbella comes to life in Spring but it’s a tranquil time of the year before the summer crowds arrive to enjoy some of the finest beaches and weather in Europe. As trees and flowers bloom, the sun starts to heat up the sand and beachside restaurants become vibrant and buzzing with visitors. This is the perfect time to visit for golf, hiking, tennis and all manner of activities including boat trips round the port. If you’re after a more relaxing break, why not enjoy a picnic on the beach or a drive into the mountains to admire the sun baked houses of Andalusian villages such as Casares and Gaucin or the village of Benahavis, which is truly charming but also a gastronomic paradise. Easter brings parades galore to the area. Holy images are carried through the streets, sometimes followed by exuberant crowds, other times powerfully sombre. Even tiny villages hold parades and it’s a great way to experience the authentic way of life in this popular holiday destination. Shops close on national holidays and everyone eats out to enjoy the day off, so book in advance if you have a favourite restaurant in mind and enjoy great Spanish tapas. With more than 1,100 restaurants to choose from in the Marbella area, there’s room for all and a whole lot of choice. 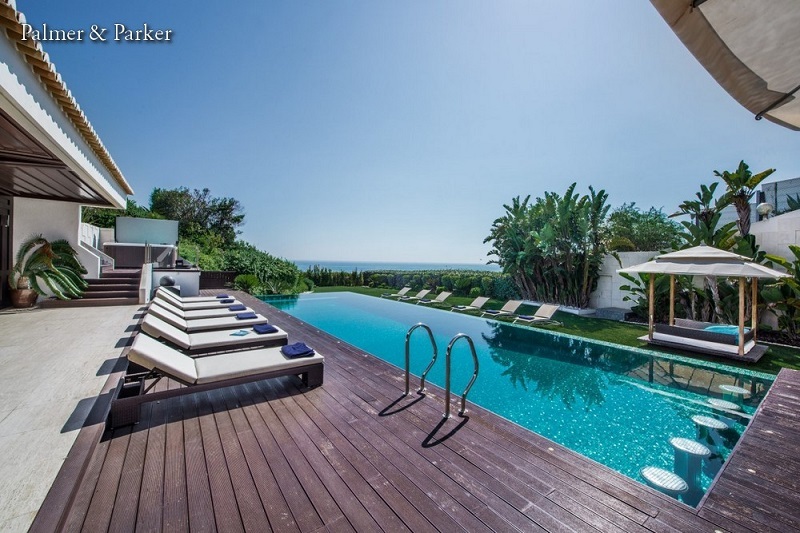 Have we whetted your appetite for Marbella? 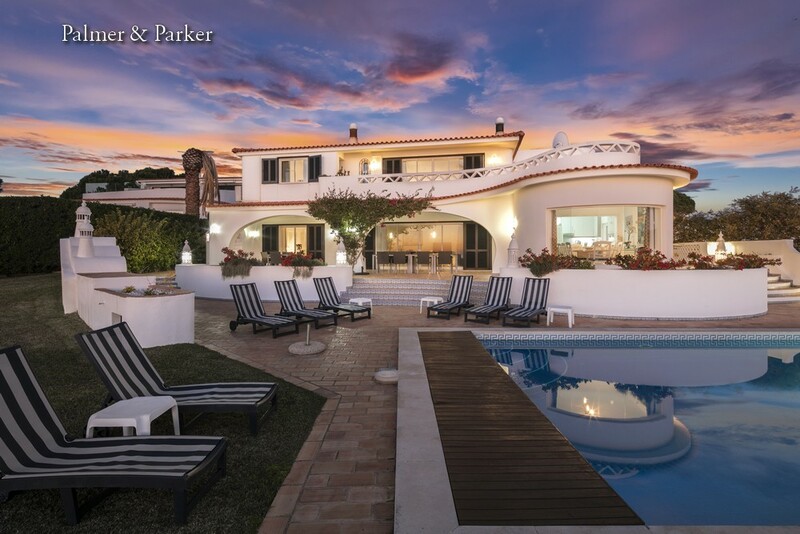 Check out our absolutely stunning villas in Marbella. Spring and Easter are just around the corner and there are lots of flights available for a last minute break. We love to help make your holiday dreams come true…. 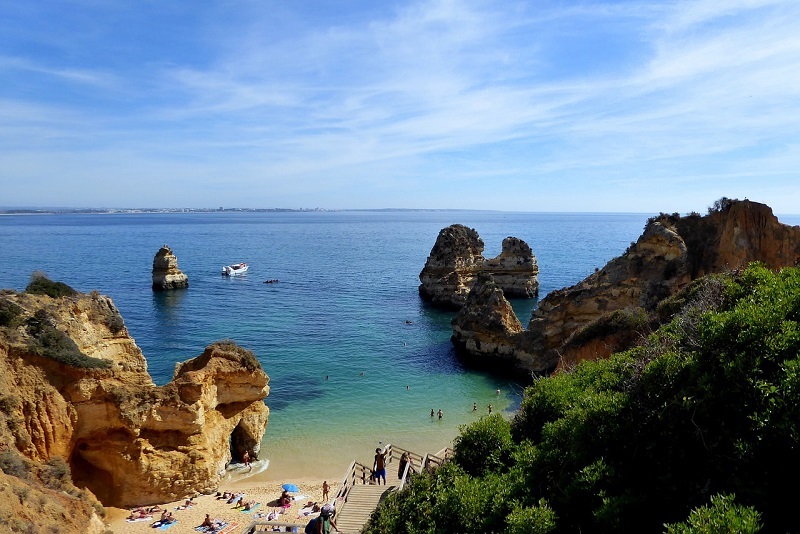 The 2019 ‘Top beaches in the world’ table as voted for by followers of Trip Advisor revealed that Falesia Beach is the number one beach in the Algarve. It’s also in the top 12 beaches world wide and the third best beach in Europe. Praia da Falesia is a long, long strip of golden sand backed by stunning red cliffs, topped with dark green pine trees which contrast beautifully with the blue sky and turquoise waters of the Atlantic. Its exceptional beauty isn’t marred by holiday apartments but has been kept in its natural state. There are miles and miles of beach to enjoy, stretching from Vilamoura in the east all the way to Olhos de Água (near Albufeira) in the west. Praia da Falésia actually means Beach of Cliffs and the startling beauty of these monumental, colourful formations is astounding. Relax on the soft silky sand and take a refreshing dip in the crystal clear water. Or you could walk along the beach with the waves lapping your feet, it takes around two hours to do the whole 6km. Or perhaps you prefer to take the hiking trail from the top of the cliffs from where the views are spectacular (only do this on dry days, when it rains the trail can get slippery). The cliffs are lower here but as you make your way west towards Albufeira the cliffs get higher and the beach gets narrower. Parts of the beach are very secluded, perfect for a tranquil day of swimming and relaxing. What’s on at Quinta do Lago spring 2019? The luxury lifestyle resort of Quinta do Lago in the Algarve puts on a massive programme of events throughout the spring of 2019. From soccer school with the legendary Rio Ferdinand to movies in the park, live music and parties galore. Plus with the recent opening of The Campus sporting complex there are more activities (including padel, one of the fastest growing sports in Europe) than you or your kids ever dreamed of. 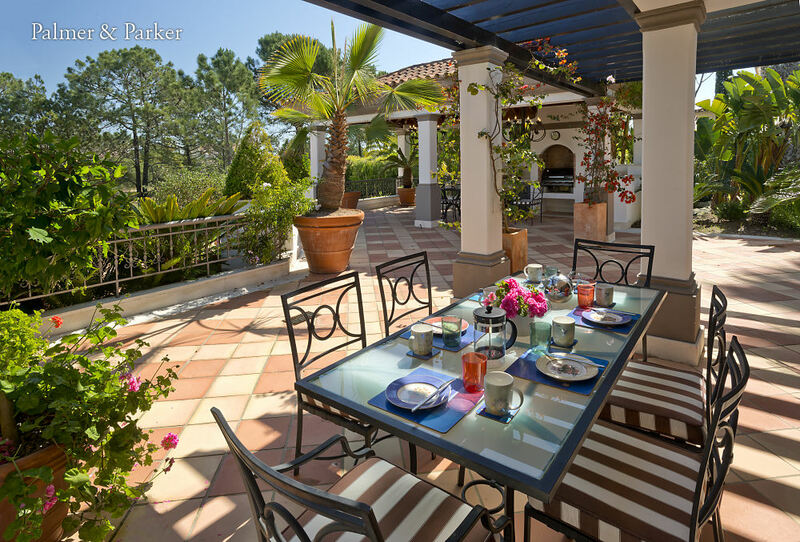 Book one of our luxury Quinta do Lago villas to truly make the most of your holiday. There is nothing ordinary about any of them. We only bring you the very best of the very best so that you know that your holiday is going to be super special, the best it can be. Quinta do Lago activities for kids including football lessons with Rio Ferdinand! Budding footballers: It’s not every day that kids get the chance to train with Rio Ferdinand – but here they will! This is one very special coaching opportunity as Football Escapes have partnered with The Campus to hold courses for kids from 5-15 years, with coaches including Rio Ferdinand, Teddy Sheringham, Bobby Zamora and Richard Dunne. Takes place April 15-19 so book straight away for this one. Budding tennis players: Junior training camp from 15-20 April with the Campus tennis academy team. There’s also an Easter Egg hunt (21 April), Sunday fun golf at the driving range every Sunday in April for kids, safe cycle routes, beaches and loads more to keep them happy and entertained. 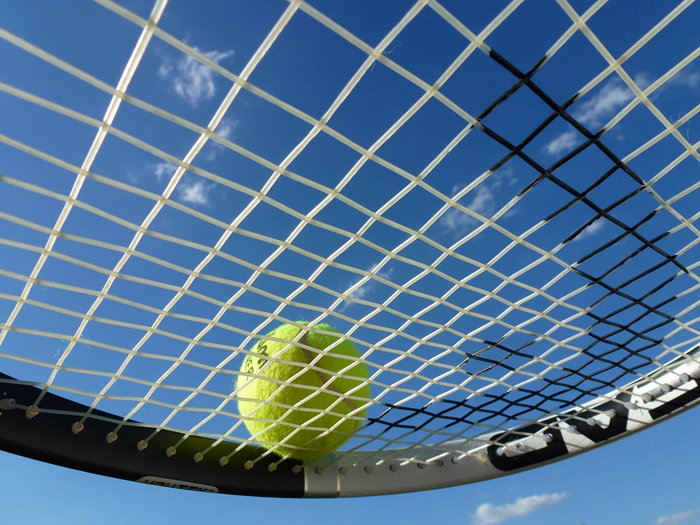 Tennis players can join a very special tennis camp this spring. A legend in tennis history, Judy Murray is a renowned tennis coach, former captain of the Great British Federation Cup team and mother to two Grand Slam winning sons, Andy and Jamie. An incredible opportunity for all tennis players to receive expert coaching from Judy herself, and play on the professional courts at The Campus. From 17-19 April, booking is essential. Spring is the perfect time to tee off. Get out on the course, blow the winter cobwebs away, enjoy the sunshine and fabulous greens of Quinta da Lago. You can also book private sessions, golf school, lessons, golf camp – there’s loads to suit all golfers, and, there’s a Junior club for 5-18 year olds. For a bit of golfing fun, try the Mini Golf at Quinta do Lago and play on world famous golf holes – Augusta, Belfry, Sawgrass – in miniature. Unique in the Algarve the course is designed for the whole family to enjoy. Who can resist Easter Brunch at Bovino steakhouse? A fiery barbecue of sizzling meat and fish, fresh salads and indulgent desserts. The band will create the music, while the children enjoy the fun. (13 and 21 April). Seafood Festival from 15-21 April at Casa do Lago showcases locally sourced, delicious fresh fish dishes at the beautiful lakeside restaurant. St Patrick’s Day party at Danos – expect a lot of fun with a live band, Guinness and a great menu. 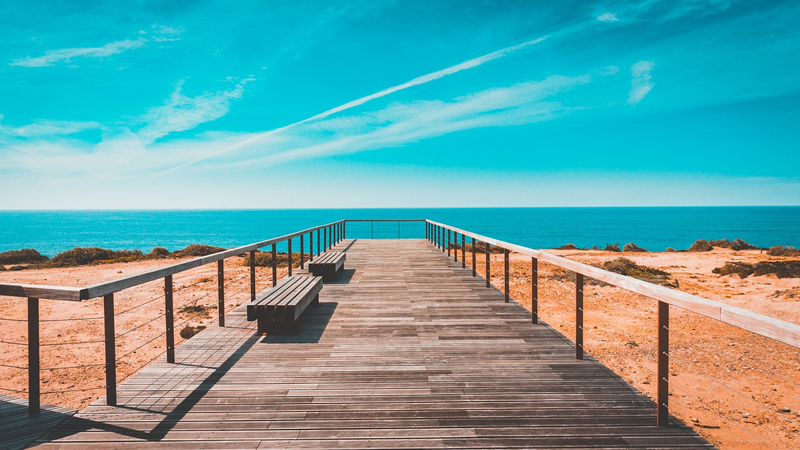 There’s loads to do here from every kind of sport, to relaxing at the beach, exploring the beautiful Ria Formosa Natural park, visiting the local towns and seaside resorts, days out dolphin watching, horse riding, hot air ballooning, visiting local vineyards and much more. But don’t forget to make time to simply enjoy your gorgeous luxury villa at Quinta do Lago, just made for chilling, with gorgeous pools, luxury interiors, beautiful gardens and maid service, this is the holiday of your dreams – come true. 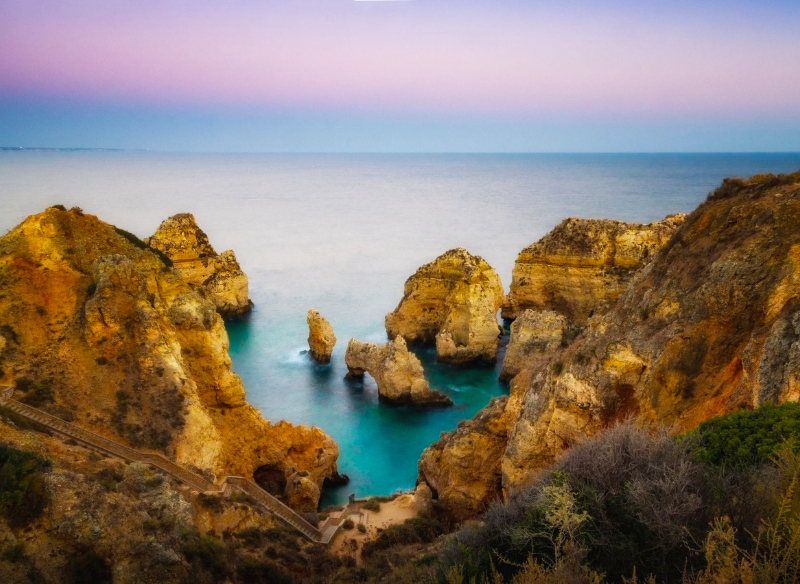 The Portuguese Government has authorised the installation of dedicated UK Passport holder lanes at the Algarve’s Faro Airport. The aim is to ensure that British citizens will continue to enjoy fast-track access after Brexit, whether the UK leaves with or without a deal. A record 13 million tourists visited Portugal last year, with Britons being by far the largest single group. Prime Minister António Costa stated that, “Millions of Britons visit Portugal as tourists every year, we have to ensure the flow is not interrupted.” According to the Algarve Daily News, Prime Minister Costa also announced that 60 additional customs officers are to be hired for post-Brexit border checks. In addition, the estimated 45,000-50,000 British citizens living in Portugal will be able to retain their residence and other rights, including access to state healthcare and recognition of UK academic qualifications. The estimated 400,000 Portuguese citizens living in Britain will also be offered improved consular assistance to ease any residence, work or labour problems arising from no deal, the prime minister said. In order to relieve internal concerns over the possible effects of a no-deal Brexit, the Portuguese government will also make €50m available to the estimated 2,800 export-focused companies likely to suffer most should Britain crash out of the EU in March 2019. We’re delighted that Portugal will continue to welcome British visitors in this way so that you can enjoy a great holiday in the Algarve. 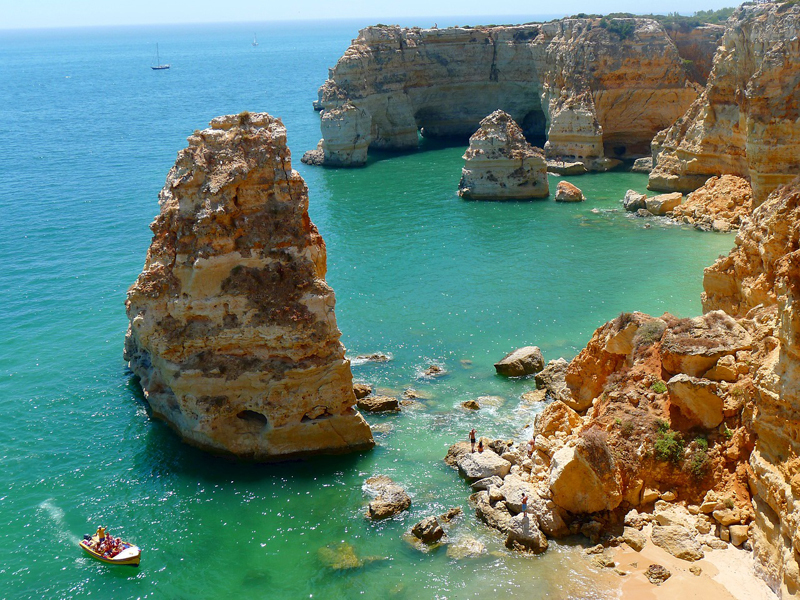 The Algarve is known for its gorgeous Atlantic beaches and lush golf resorts. With whitewashed fishing villages and a coastline lined with luxury villas, bars and restaurants, it’s the perfect place to take a sunshine break. Take a boat trip or snorkel in Ria Formosa Natural Park. This unique coastal lagoon in central Algarve, was elected one of the 7 Natural Wonders of Portugal in a peoples vote in 2018. You can see the largest community of seahorses in the natural environment here. The park covers 18,400 hectares and encompasses a barrier island system stretching 60 km between Ancão and Manta Rota in the eastern Algarve. Essentially, it is a lagoon separated from the sea by a coastal dune system and an important wintering ground for birds from northern and central Europe, as well as being an important stopover for migrant birds flying between northern Europe and Africa. Visit Cape St. Vincent, the southern-most point of Europe. Take a scenic drive up the Vicentine Coast and enjoy the spectacular views. Enjoy a day relaxing on the beach, doing nothing but chilling. From sandy beaches to deserted islands and award-winning beaches like D.Ana, Meia Praia, Praia da Marinha and Falésia beach, the choice is yours. 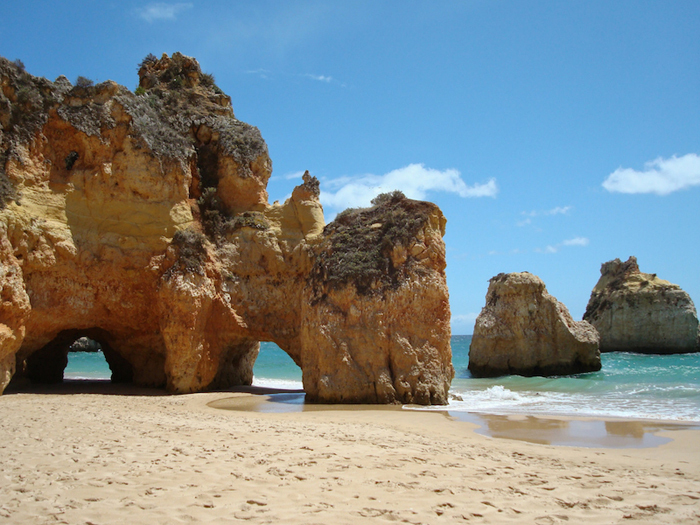 Don’t miss a visit to the impressive Benagil Cave and the iconic Ponta da Piedade rock formations in Lagos. Learn to surf or body board with the locals at Odeceixe Beach in Aljezur on the west coast. Whatever level you’re at – total beginner or total surf dude, the Algarve offers beaches to cater for all levels, with surf schools dotted along the coastline. Cycle on the Ecovia trail to discover the wonderful, natural landscape. 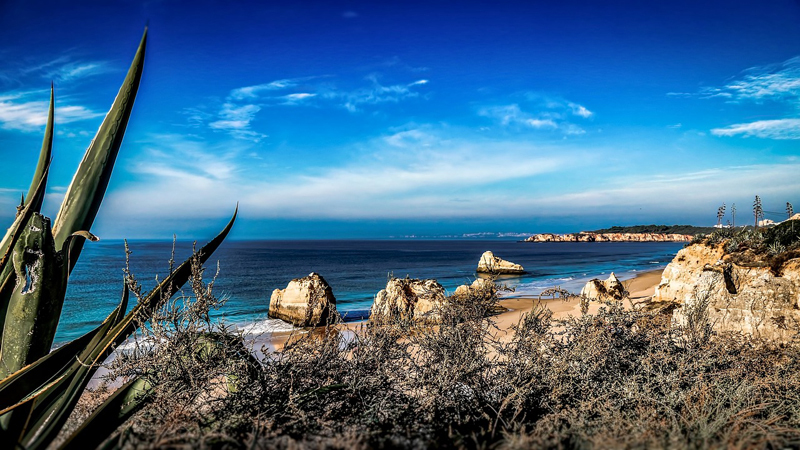 Highlights include the lush greenery of the Costa Vicentina Nature Park, the birdwatching haven of the Alvor Estuary, and the majestic cliffs of Sagres. Wine and dine! There are loads of restaurants to choose from Michelin Star to authentic tiny cafes. Nothing beats an alfresco lunch in the sun, especially when it’s local sardines or fresh seafood. In Portimão it’s hard to resist the lovely riverside restaurants. Play a round of golf on one of the stunning courses in the exclusive ‘Golden Triangle’ of the Algarve: Vilamoura, Quinta do Lago and Vale do Lobo. Discover why the Algarve was voted the World’s Best Golfing Destination by the IAGTO (International Association of Golf Tour Operators). Take a walk through history. Visit some of the beautiful villages like picturesque Alte or Alvor for a glimpse into traditional rural and coastal living. The region’s sixteen municipalities each have their own identity but are bound together through their religious and cultural heritage. We have the finest luxury rental villas in the Algarve, browse our listings or contact us for help with choosing the right villa for your dream holiday. Perched on a hill, just below the lighthouse on the peninsula of Cap d’Antibes, Villa Chloe is exceptional. With stunning sea views from the house and gardens, you can easily walk to the sandy beaches of Salis (Blue Flag) with its pretty port from the villa. Plage de Garoupe is also within walking distance. It’s one of the prettiest beaches in the area with silky-soft white sands and crystal clear waters. Once a favourite with luminaries such as Ernest Hemingway and Picasso, it’s very exclusive and there are some excellent restaurants and bars there. The villa has three levels. On the first floor it is all open plan with plenty of light and sea views. The living room has French windows leading out to the pool area. The dining area has steps that lead up to the large kitchen which is fully equipped with an American style fridge freezer and top range facilities. There are five double bedrooms all with en-suite bathrooms. One has its own dressing room and two open out onto the terrace, with gorgeous views. In the garden make the most of the glorious weather with the large dining and barbecue area. The loungers round the pool are so tempting. There is air conditioning throughout the villa plus Wi-Fi and Bluetooth stereo. If you can bear to tear yourself away from this gorgeous holiday home and those beautiful beaches, head to the town to discover its charms. Situated within the old Grimaldi castle on the waterfront is a museum dedicated to Picasso. All the artwork is of the local area, which gives you a fascinating perspective, seen through the eyes of Picasso. There are fantastic sculptures on the outdoor balcony that overlooks the sea. 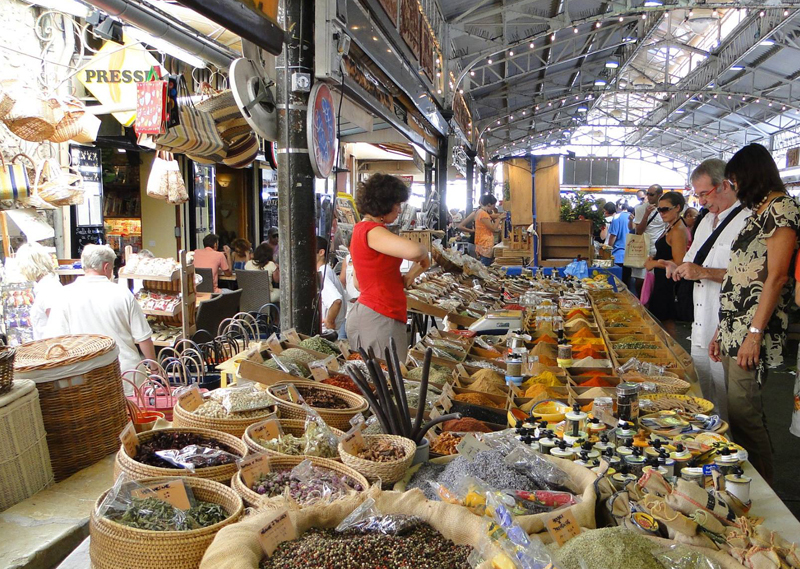 Antibes market is a great place to shop for supplies to create a wonderful feast to enjoy at the villa. You will find a terrific selection of fresh local produce from scrumptious cheeses and locally grown olives, fish and meat, herbs and spices. You can also get a mouth-watering truffle paste to spread on a warm fresh baguette bought from the bakery at the front of the market. There is one stall devoted solely to tomatoes! It’s a great place for people watching too. Chapelle de la Garoupe is in an amazing place to visit, its nave is full of votive offerings essentially from sailors. You can walk there from the villa but make sure you wear the right shoes, it’s a bit of a climb. This listed historic monument has recently been restored and from here, you have a wonderful panorama over the bay. It’s the perfect place to see the sun set, you’ll experience one of those wow moments. Close to shops, beaches, restaurants etc. We’d like to wish you a very Merry Christmas, Happy Holidays and a Very Happy New Year. We’ve really enjoyed helping so many people to make their holiday dreams come true this year. It’s something we’ve been doing since 1972, and we have an ongoing passion for bringing you the very best, most luxurious holiday villas in some of the finest parts of Europe. Whether you want advice for which villa might suit your needs best, to find a villa that’s suitable for a wedding or a family get together, or somewhere close to the best golf courses of the Algarve, the best beaches of Spain, or the most beautiful villages of the south of France, get in touch with us by phone or email and we’ll be very happy to help you. We’re also on Facebook where we post inspirational photos, news and tips, and on Instagram where our gorgeous teaser photographs are sure to make you dream of your next fabulous, luxury holiday. Our office will be closed Christmas Day and New Year’s Day only. 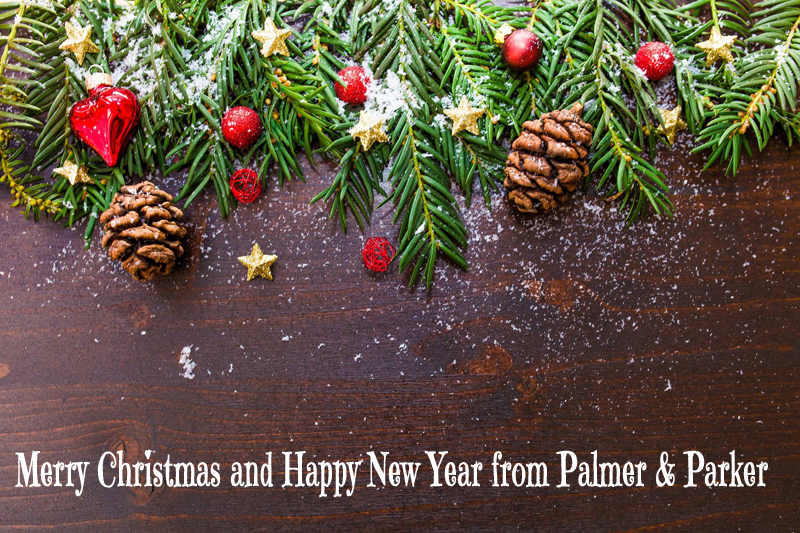 We wish you all the best for the season and look forward to talking to you next year. 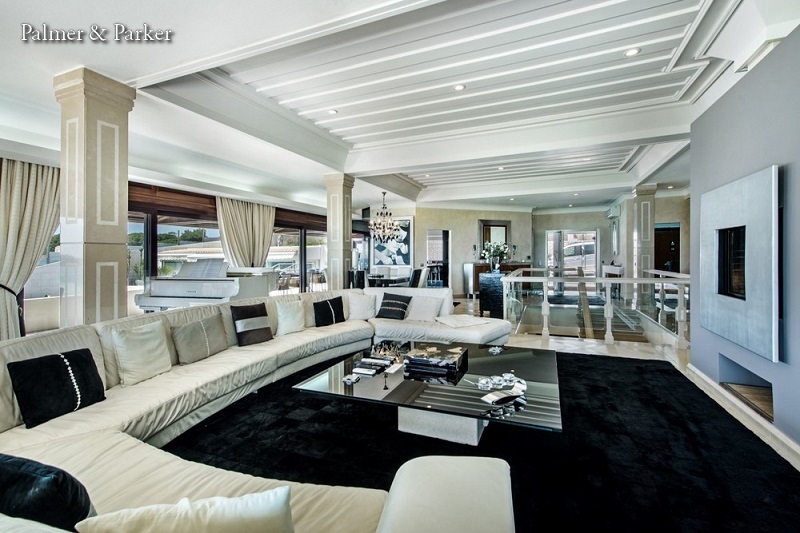 This stunning villa in Albufeira oozes style, comfort and sophistication. Villa Cliff Top sleeps 16 people in luxury. There are 5 bedrooms in the main house plus a separate guest houses with three bedrooms. With plenty of room for family and friends and loads of space for your own me-time. While cooking might not be what you first think of doing when on holiday relaxing, especially as in this area there’s a ton of delicious options for eating out, you might be tempted here. Wait until you see the professional kitchen and terrific outdoor cooking area – it’s inspiring and fabulous. 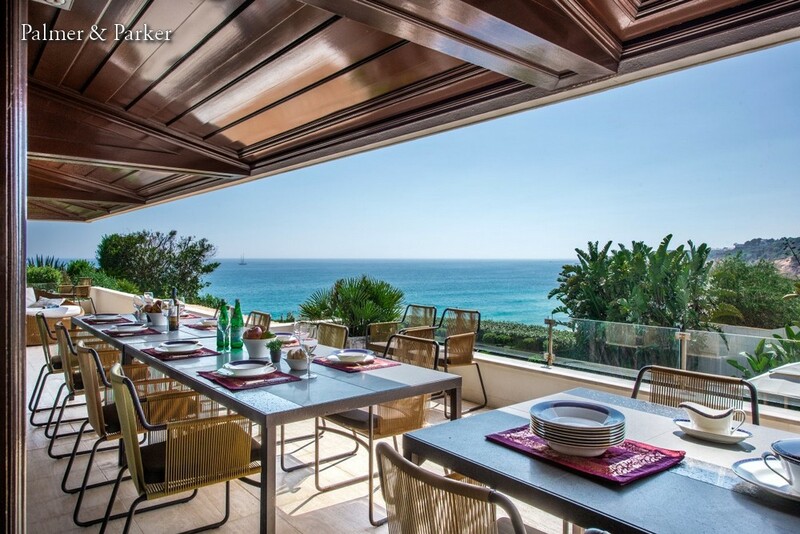 Overlooking the ocean, giving you spectacular views, is an open plan living and dining area. From the garden there’s a pathway leading right out on to the bright golden sandy beach. There are outdoor entertainment areas, a large swimming pool with its own bar, jacuzzi, a fully equipped gym and a games room. For the adventurous and those who like to explore, you won’t be short of things to do here. Close by and highly recommended is Parque Aventura, an outdoor climbing space. Move through the trees, enjoying the excitement of zip lines, rope bridges, skateboards and much more. The staff are always on hand to give advice and help choose the right course for you depending on age and ability. Retail therapy more your thing? Then Algarve Shopping Mall is the place to go. With lots of well-known retailers mixed in with designer boutiques, food courts, and places to sit and rest while watching the large televisions, you could easily spend a few hours here – shopping paradise! Beach accessible from the garden – it doesn’t get much better than that! There’s still time to book your Christmas getaway in the Algarve this year and enjoy golden sands, winter sunshine and a luxury break, the perfect way to end the year. Typically presents are opened on Christmas Eve instead of Christmas Day in Portugal. Christmas trees are common and nativity scenes are treasured, in fact the world’s largest nativity scene can be seen in Santa Maria da Feira, south of Porto, it covers around 3.5 hectares and features more than 7,000 figures. There’s a lively atmosphere in the Algarve at this time of the year and its become more and more popular with tourists with more hotels and restaurants remaining open all year round. Though it’s not bikini on the beach weather, typically there are ten days of rain in December, the climate is mild enough for T-shirts in the day, jumpers or jackets in the evening. Fabulous food plays a starring role at Christmas in the Algarve. Although salted cod fish is a traditional favourite for the Christmas meal in Portugal, turkey is quite usual now. If you’re in the Algarve at Christmas you’ll be able to buy all the ingredients for a traditional roast Christmas dinner in supermarkets and butchers. Enjoy the freshest seafood – “caldeirada” is a local favourite, seafood steamed in a traditional pan. Tempt your taste buds with olives, cheese and bread, and delicious deserts including the famous Dom Rodrigo, an almond delight. Local wines are starting to get noticed as in the last few years, production has undergone an evolution – fine red, white and rosé wines can be tasted and bought at the vineyards as well as the local shops. Boxing Day isn’t celebrated in Portugal and is the perfect day to get a round of golf in! With 42 nine or 18-hole, all year round courses, most designed by renowned architects, suitable for all levels and budgets, some of them in the top 100 best courses in the world, golfers will have a ball. Take a wander, cycle or boat ride in the Ria Formosa Nature park, a unique lagoon system. There is also the Costa Vicentina Natural Park with its steep cliffs, beaches, sand dunes and mountains. And if you’ve a head for heights, the Monchique Mountains are the highest point in the Algarve and home to lots of wildlife. 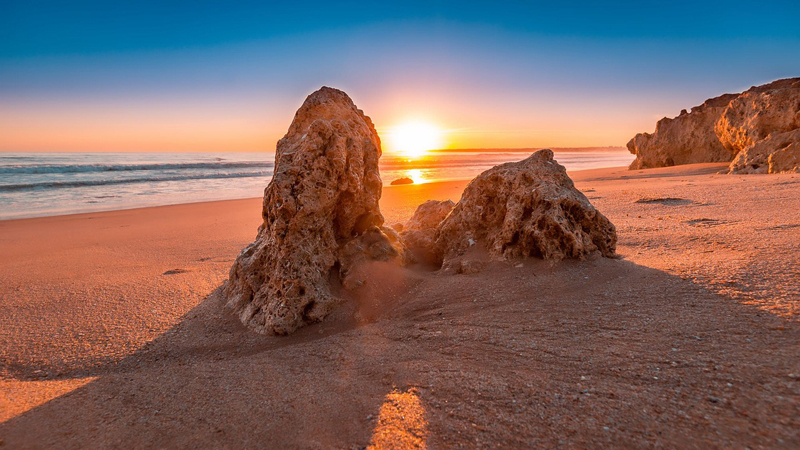 Enjoy a stroll on a sandy beach, perfect for blowing the winter blues away – there are more than 100 beaches in the Algarve. Explore historic towns and cities, Lagos for instance is a fascinating gem which dates to the Roman period. With many architectural features, cultural venues, restaurants and shops galore, it makes for a superb trip. Albufeira is the most lively of the towns in the Christmas season and especially on New Year’s Eve when there are festivities galore. Indulge in a spa session – you’re on holiday after all. At Monchique there are wonderful natural thermal treatments on offer and many of the hotels have spa facilities. 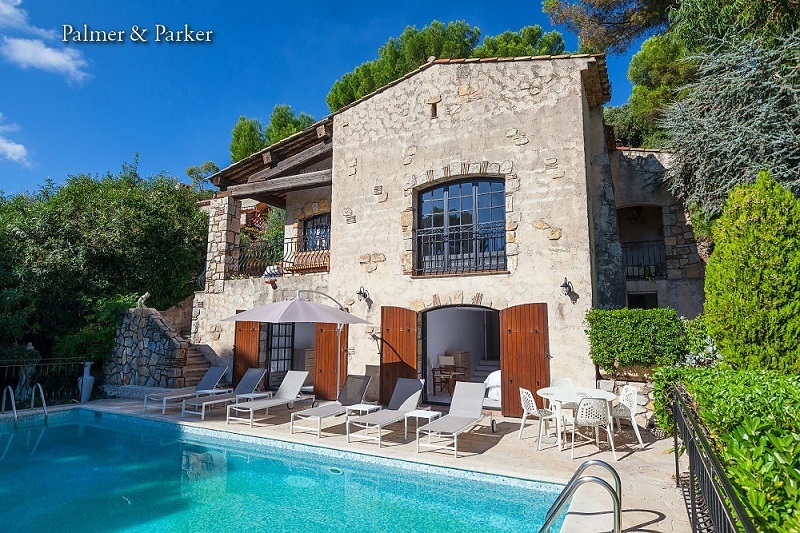 At Palmer & Parker we specialise in the very best of the best of holiday rentals in the area. Luxurious and gorgeous, all our villas have pools, maid service, fabulous facilities, and are decorated to the highest standards. Some villas even provide cooks so that you can really take time out to indulge. 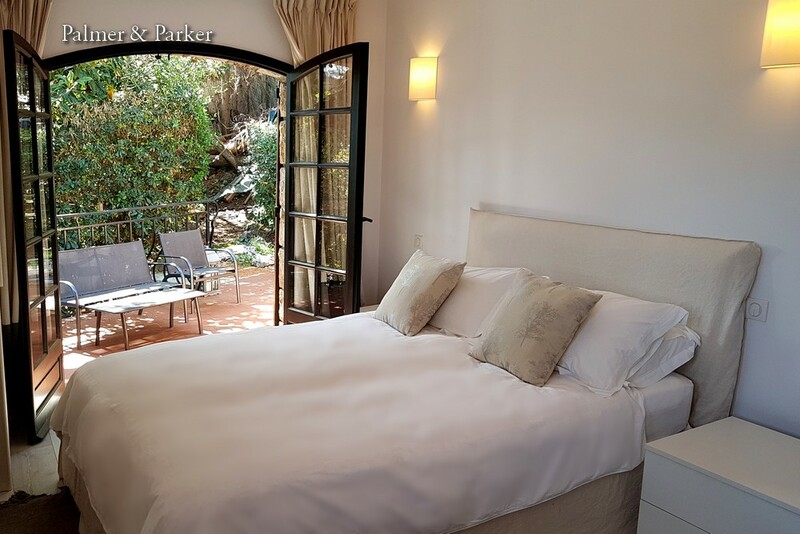 Take a look at our wonderful selection of magnificent holiday villas in the Algarve and if you would like more information, recommendations and help – please don’t hesitate to contact us, we want your holiday to be the best it can possibly be. 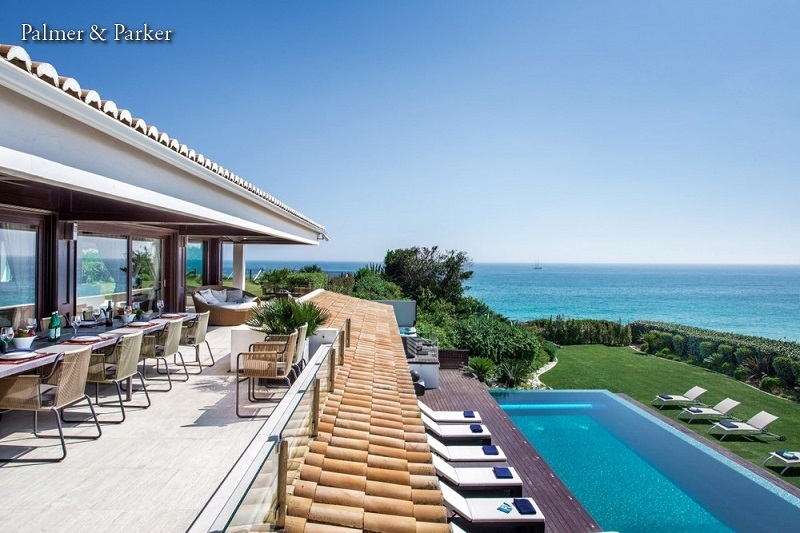 Photos featured 1: Villa Timosa, Vale do Lobo Close, on the Ocean Golf Course, near the beach , restaurants and facilities. 2: Villa Driftwood, Quinta do Lago with a gym, sauna, cinema room and everything to keep the whole family entertained. 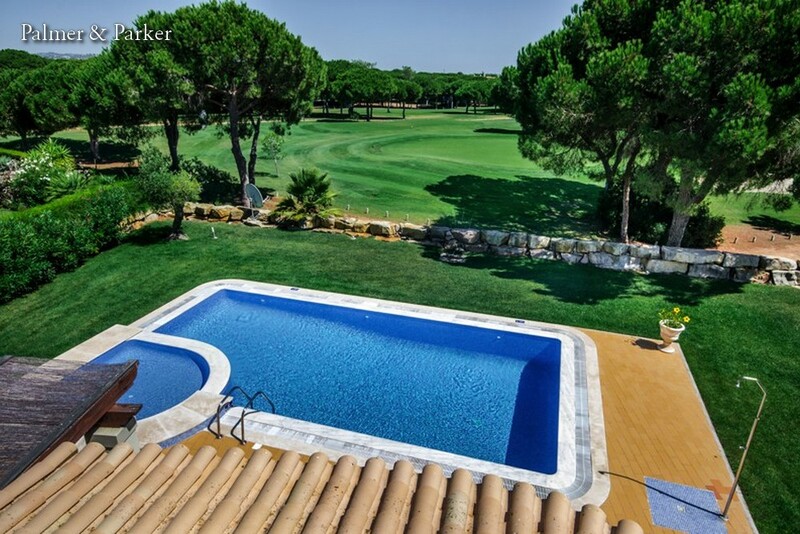 3 Villa Talitha, Vilamoura, bordering the Vila Sol Golf Course with views out to 24th Hole. 4. 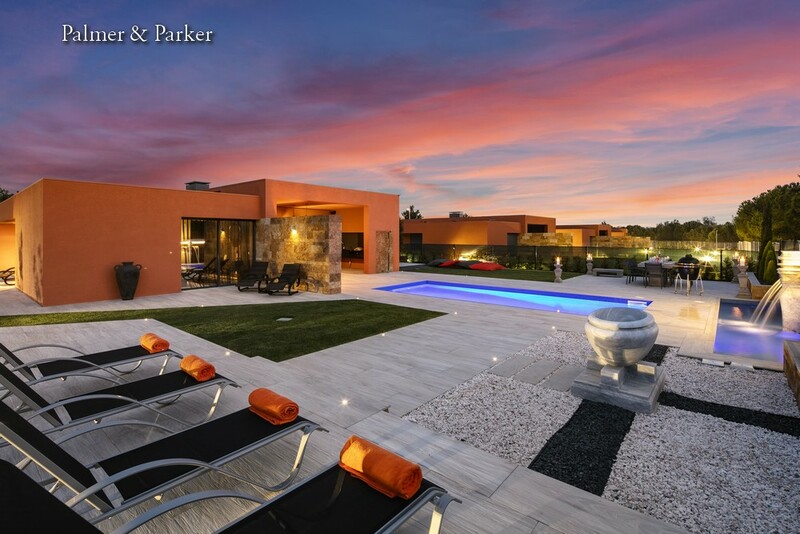 Villa 22, Vilamoura, a brand-new luxury-built villa on the world-famous Victoria Golf Course.